Bible studies by Warren Wiersbe are designed for small groups and individuals looking for an in-depth bible study from trusted and beloved Bible theologian and scholar, Warren Wiersbe. 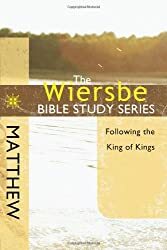 The studies in this series are based on Wiersbe's very popular "BE" commentary series of 50 books covering the entire Bible. 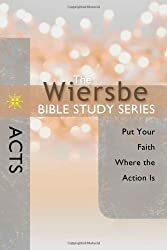 Each session in the Wiersbe Bible Study Series includes introspective questions on the passage of scripture and insights and excerpts from the "BE" series. Each bible study is made up of anywhere between 8-12 sessions depending on the topic selected. You can click on the study below to learn more about them and view a preview. Dr. Wiersbe has written more than 160 books during his long ministry. He is the former pastor of The Moody Church in Chicago and was associated with the "Back to the Bible" radio broadcast.